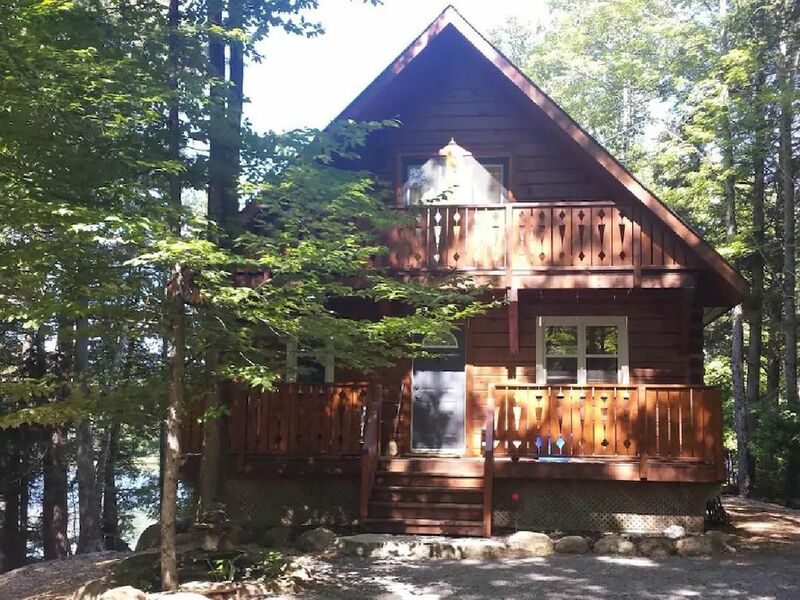 Live and work in Canada in the Coffee Industry, Fell in love with this property, do not get up as much as I would like in summer and enjoy sharing my property with others. Married with a 14 year old daughter. Great Views, Quiet, Rustic/Modern. Property is new, Enjoy the exposed wood and Cottage vibe without the old musty smell or concerns about condition. Less than 10 mins to the town of Aplsey where you will find the most friendly people in Ontario and everything you need for your stay. LCBO, Grocery, Gas. If an avid ATV or Snowmobile rider you will find some of the best trails in Ontario around Chandos lake. Large, with shower,toilet and sink. it has 4 burners and an oven. chair set, table and umbrella that seats 6. 4 additional Muskoka chairs. Lovely property. Well equipped and beautifuly decorated. Had a wonderful time with family after the Christmas rush. Stephen was great host. Readily available and attentive to any needs we had. Will recommend it to friends and family. We just returned home from a wonderful getaway. The cottage was very clean, well stocked with toiletries, cleaning supplies and cookware. Basically everything you could think of to make a stay enjoyable. Cozy woodstove, great kitchen to make yummy meals, lots of fun games and dvds, beautiful view and great area to go for walks. An added bonus was that we could bring our dog along as well. Would highly recommend this cottage and hope to return. Big thank you to Steve for being such a thoughtful host. He kept in contact to ensure I was settled and that my stay was worry free. The cottage was exactly as I’d dreamed and was just perfect. Lots of movies and games and books to enjoy along with the beautiful scenary. Very peaceful and gorgeous location and hope to return again! We had a lovely few days here enjoying the peace. The cabin has everything you need and more. Stephen is very helpful and responsive to messages. The weather was not the best but we went out in a canoe and enjoyed the scenery. We loved feeding the chipmunks, blue jays and squirrels and then watching their antics. Beautiful spot for a relaxing break. Thank you. Canoe, Kayak, Paddle Boat and Aluminum Fishing Boat available for Guest use at no charge.